I get this question a lot from my students. Everyone wants to know which NBME forms to take since there are so many now. This post is going to be little longer since I am going to answer all the questions about NBME forms here. My suggestion to everyone is if you have time why not take all of them. There’s nothing wrong taking all of them if you have time. It will boost your confidence even more. But, if you want to be selective about them and want to know which one you must take before walking into the exam center then you should take NBME 19, 18, 17 or 19, 18 and 16. 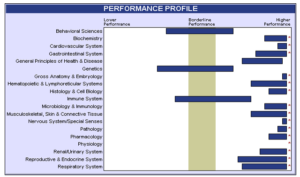 NBME form 19 is the latest one but it’s not the hardest. I always heard from students that the latest NBMEs are hard because they are the newest one and students want to keep it for the end. Today I am going to clear that myth. I went over all the NBMEs and I think 19 is the closest one that will test your knowledge from the First Aid and USMLE World. Now isn’t that what you want? Don’t you want an NBME to tell you how well you learned UW and First Aid? So take NBME 19 after you finish one round of UW and First Aid. Now NBME 17 & 18 will test you on the similar concept. And they are also a bit difficult in terms of concept wise. But that’s good, right? Because you would rather face difficult questions on NBME and be ready for the actual exam. NBME 15 & 16 pretty much test you on the similar concepts. So taking one of them is fine as long as you take 19, 18 or 17. Which order should you be taking NBME forms? I will say there is no order. They are all same. All of them test on the same concepts in different ways. But, I will say start with the NBME 19 and keep working down. Here is how you should do it. Take NBME 19 after going through UW and First Aid once. You might not do really well but that’s ok! I have seen students losing hopes and I always tell them one thing. If it’s your first NBME don’t expect a very high score. Just be patient and wait for the next NBME! Next, you want to do a second round of UW and First Aid and take NBME 18. This time your score should improve because you are already familiar with NBME style questions and your knowledge should improve from the second round of UW and First Aid. After that, read First Aid front to back again with UW and take NBME 17 and you should do even better. And few weeks before the exam take USMLE World Assessment 1 (UWSA 1) and it should give you a good score. For me UWSA 1 was very predictable. 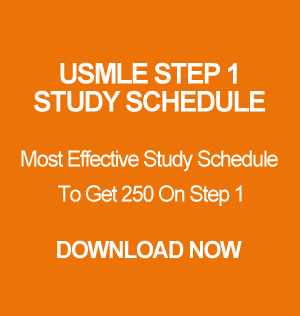 You can read about How I scored over 250 on USMLE Step 1. So you can follow my steps on NBME and you will be fine or any other methods that you prefer as long as you take multiple NBMEs. Which one is most predictable NBME? This is a pretty silly question. I remember I used to ask this question a lot too. But, honestly instead of asking this question, what you should do is take at least 3 NBME forms and then get the average of your scores and that should be close to your actual score, may be +/- 5 points. 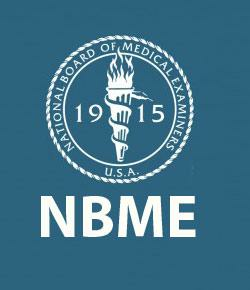 Don’t forget to go over all the NBME forms that you take. It is highly recommended that you go over all of them. And make sure to take them online with the extended version. This way you will know which questions you got wrong, so you can go over them. In the past, you needed to find answers online since NBME’s didn’t show the right answers. However, since July 2017 NBME’s show the right answers to the questions that you get wrong. Should you take the old NBME forms? I wouldn’t recommend anyone to take any old NBME forms such as 12 and below because they are old and outdated. You can take 13 and up. If you need my help and guidance you can check out my one-on-one consulting service where I help students with study schedule, study technique, tips and skills they need to score very high on the real exam.